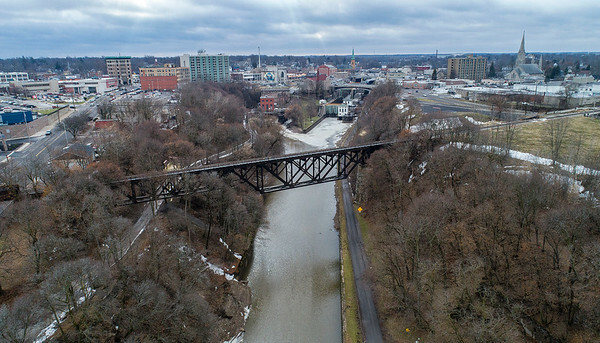 Lockport, NY - An aerial from Upson Park of downtown Lockport makes for a unique scenic view. Niagara Gazette photographer James Neiss, a certified FAA Remote Pilot, captured the image with a DJI Phantom 4 UAV. Look for more aerial photos and videos in the Niagara Gazette and Lockport Union Sun as Neiss explores Niagara County.